Includes catamaran transfers from Brisbane and your choice of up to 3 activities + any or all bonus activities! 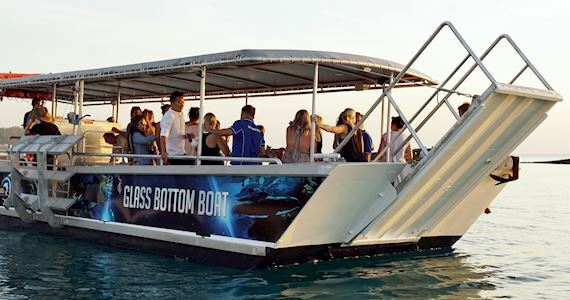 Adventure Moreton Island Tours include return luxury catamaran transfers, departing from Brisbane’s Holt Street Wharf at 7.00am to Tangalooma Island Resort. The catamaran will depart Tangalooma Island resort at 4.00pm, arriving back at Holt Street Wharf at approximately 5:15pm. Overnight accommodation and late departure packages are also available which include two days of activities, accommodation and Dolphin feeding. Add these bonus activities to your tour for free! Full use of resort facilities & inclusions for the day – 2 Resort Swimming Pools, Beach Cricket, Golf-Chip Putt, Squash, Tennis, Beach Volleyball, Table tennis, Boule, Soccer, Basketball, Badminton, Croquet etc.